Quality Partner is an independent company specialized in quality control in the agrofood and cosmetic industries. It developed as a spin-off from the University of Liège in 2000 through the initiative of Professor Georges Daube, Head of the Food Microbiology department at the Faculty of Veterinary Medicine at the University of Liège, a reference in research and consultancy in the field. Quality Partner offers its services with the quality, reliability and independence that are guaranteed and internationally recognized by BELAC accreditation according to the ISO-17025 (135 TEST), ISO-17020 (135-INSP), EN-45011 (135-PROD) and ISO-17021 (135 QMS) standards, and by approval from the relevant regional, national and international authorities. 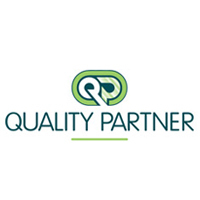 Quality Partner is recognized by the three belgian regional authorities (Walloon, Flemish and Brussels Regions) and is also active on an international level for the certification of organic operators. Production (transformation of own production included). Preparation (in case of conservation and/or transformation operations, as well as packaging and/or package modifications). Import (only in case of product import from outside of the European Union). Council Regulation (EC) No 834/2007 of 28 June 2007 on organic production and labelling of organic products and repealing Regulation (EEC) No 2092/91. Private Regulations like the Biogarantie and Ecogarantie Specifications.